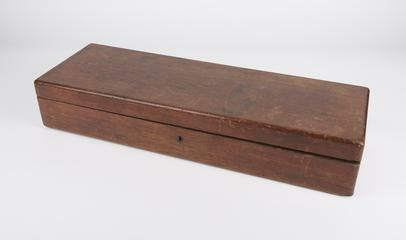 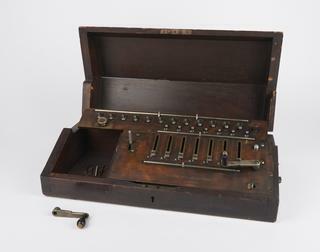 Thomas De Colmar's Arithmometer, c 1870. 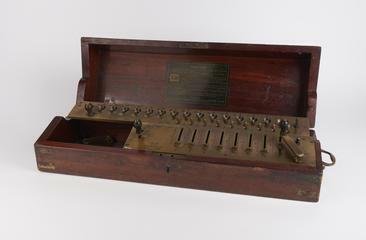 Madas model XXL electric calculating machine by H.
TIM (time is money) trade marked arithmometer c. 1910-1920, made by Spitz, Ludwig and Co G.m.b.H., Berlin, Germany. 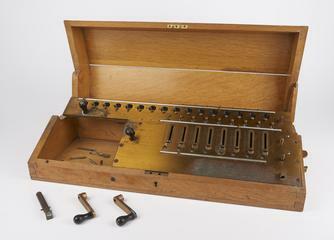 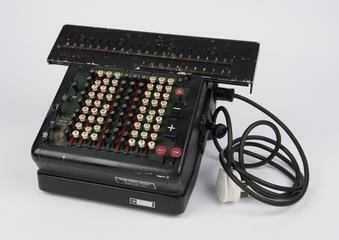 "Madas" calculating machine with metal cover, no.4757 capacity 7 x 7 x 12 by H.W. 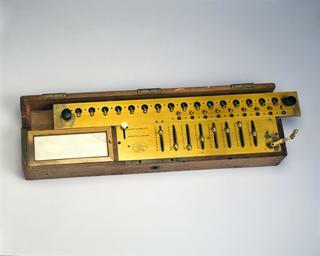 Egli Limited, Zurich, Switzerland.